Knight Defenders is a member-based organization made up of 2nd amendment advocates who believe it is our duty to defend ourselves and those around us. Our goal is to bring together like-minded people in a group where we can learn, share, and promote our ideals, strategies, and training. We are Knight Defenders. I am a Knight Defender. I am not a soldier or police office, nor does my job require that I protect people. I'm a responsible American. I’m a parent, a spouse, a co-worker, or a friend. I’m a neighbor, a young single professional, or a senior citizen. I say hi to you in the grocery store, and drive in the car next to you on your morning commute. I wave to you in the neighborhood while you are walking your dog. You might not see it, but I’m constantly aware of my surroundings. My awareness is sharp. My resolve undeterred. I don’t look for violence, but I will defend my family, my co-workers, my friends, and my neighbors if it shows up. I'm not a hero, and despite what some of you think, I am a responsible American. I am a Knight Defender. Are you ready? To learn about joining Knight Defenders, visit our membership page. I would like to thank all of you for taking the time to visit our website. We are building a strong community of like-minded people to promote our views and preserve our rights. As most of you know, I have spent the last decade training more students on CHL, and now LTC, than anyone in the United States. My goal has always been to give every student the individual attention and knowledge to make the very best informed decisions on carrying a handgun. As a Master Instructor, I have trained tens of thousands of students in the great state of Texas. Over the years I have noticed disconnects that prevent many from carrying a gun. Unfortunately, confusion with the law tends to result in those with a license to carry not carrying their handgun. Without your gun, it makes it harder to defend yourself and those around you. I will always do whatever I can to help our Defenders understand the laws and alleviate any confusion. Over the years, I have envisioned bringing together 2nd amendment advocates in a group where we can learn, share, and promote our ideas, strategies, and training. I want to be able to not only protect myself, but also those around me. If you are wondering if anyone out there has your back... the answer is yes, I do. As well as every other Knight Defender. Now is the time to step up and do the same. We have your six. Do you have ours? I am a Knight Defender, I have made the commitment and I am ready. Are you? As an educated community, we will have increased safety and more power with numbers. We need to be sure we can unite our community. I invite all of you to join to Defend yourself and those around you. THANKS to everyone who came out to see us at Frisco Gun Club on October 1st. WE are going to be there AGAIN on Saturday, December 3rd to showcase who we are. Interested in meeting some members and getting all the details? Stop by between 9am-3pm Dec 3rd! Thanks to everyone who came out on Oct 1st - we had a great turnout. We had over 30 people sign up for memberships - simply amazing! On of the many benefits of being a Defender is the ability to gather with other members at local ranges and social events. Our very first Shooting Club has launched in Frisco, TX and meets at Frisco Gun Club. Interested in start a local chapter of a Defender Shooting Club? Contact us about how to set it up. Here at Knight Defenders, we try to stay in touch with our Defenders, customers, and visitors in a variety of ways. Online Blog - Our online blog is a place where you can find articles, some written by us and some that we want to pass along, about subjects that we think are important for you. Defender Community Forum - This is a private forum where you can share ideas and information, ask questions, post pictures, and get to know other members. Knight Defenders will offer a private members-only shooting club designed to unite, train, and promote the shooting community. This will take place at one of the premiere gun clubs in the country, Frisco Gun Club. All Defenders will have access to the club. Our second Defender Shooting night will be on Tuesday evening, February 7th. This will be a meet & greet type of event where we do a little shooting and then hang out afterwards. 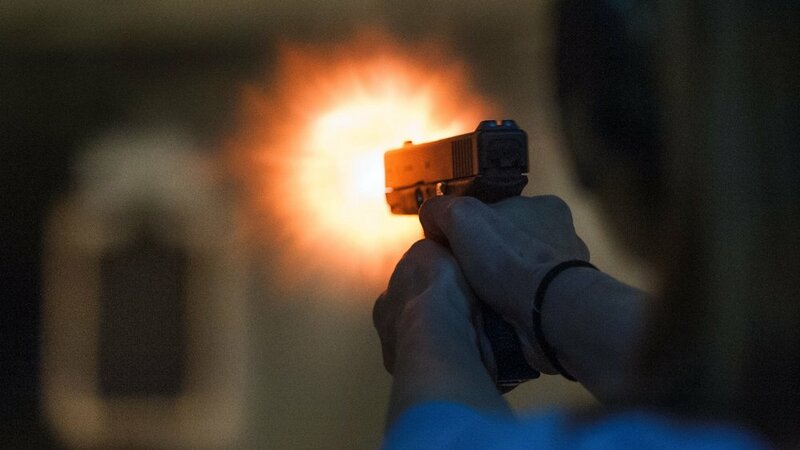 We will meet up at Frisco Gun Club about 6:30 - shoot for 1 hour - and then head over to the VIP Restaurant at 7:30 where we can socialize over food and drinks. "I am so glad to see a group like this finally forming. I like knowing that I am not the only one out there preparing and protecting my loved ones as well as myself. It's great to see an organization of people who think, and act the same way as myself."